Virginia Ruth Connor Cay, 89, of Arden passed away on Thursday, April 30, 2009 at The Oaks at Sweeten Creek. She was an only child to the late Spencer and Ruth Ackerman Connor. She is preceded in death by her husbands, Troyl Dysart and Donald Cay, her only son, Spencer T. Dysart, her only grand-son, Dean Plemmons and a step-son, Donnie Cay. 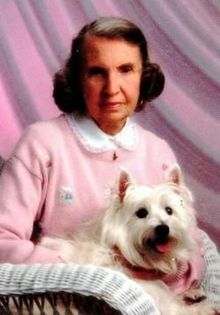 She is survived by her daughter-in-law, Margie Dysart of Leicester, NC and a step-daughter, Diane Cay of Tampa, FL. Virginia was a school teacher in Buncombe County for many years working at Claxton Elementary. She was an avid reader and loved spending time with her friends and participating in her book clubs. A private burial will be held at Forest Lawn Memory Gardens in Macomb, IL.